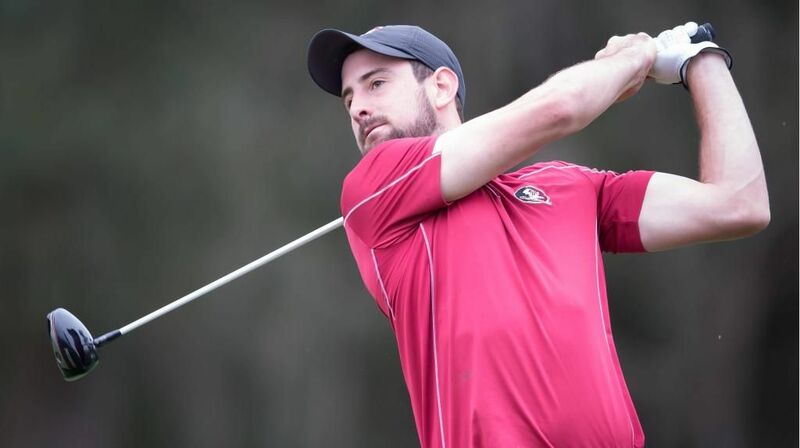 TALLAHASSEE, Fla. (Seminoles.com) – Florida State Men’s Golf is one of 30 NCAA Division I programs who has taken the necessary steps to compete in the 2016 NCAA Championship. FSU begins its title quest out at Eugene Country Club in Oregon with a 5:10 pm ET/2:10pm ET tee time on Friday. The Golf Channel will cover a good majority of the NCAA Championship, including the final round of stroke play on Monday as well as the quarterfinals (May 31), semifinals (May 31) and finals (June 1) of the match play rounds. FSU will partake in four stroke plays rounds beginning on Friday, as the Top 15 advance following Sunday’s cut and the top eight advance to match play following Monday. Senior Hank Lebioda, redshirt junior Cristobal Del Solar, senior Rowin Caron, freshman Corey Carlson and junior Josh Lee represent FSU’s starting five. The Seminoles, seeded 13th in the field, tee off on Saturday at 11:50 am ET/8:50 am PT. Florida State reached the NCAA Championship after tying for fourth in the competitive NCAA Regional in Kohler, Wis., from May 16-18. FSU has punched its ticket to the NCAA Championship for the fifth consecutive year. The streak is the longest active one in the ACC and tied for the sixth longest nationally (Texas – 10; USC – 10; Illinois – 9; Georgia – 6; Oklahoma – 6; FSU – 5: Auburn – 5). In four of the last six seasons, FSU Men’s Golf has finished in the Top 11 of the NCAA Championship. Its highest finish ever was its third-place showing in 2010. The Seminoles reached the NCAA postseason for the 11th consecutive year when they were awarded a No. 2 seed at the Kohler Regional in Wisconsin. FSU has made an NCAA Regional in every year since 2006. The appearance for FSU is its 24th in the NCAA Championship. Seminole Men’s Golf coach Trey Jones is in his 13th season with FSU, leading his team to 11 consecutive NCAA Tournament appearances. Prior to his arrival, FSU had not been to more than five straight NCAA trips. Lee helped FSU springboard into the NCAA Championship with a big final-round score of 69 at the NCAA Kohler Regional. In what was his 10th NCAA postseason round played, the 3-under par score was his lowest in an NCAA Tournament. FSU boasts two ACC award winners from the 2015-16 season: Lebioda was named the 2016 ACC Player of the Year and is joined on the All-ACC Team by Del Solar. Lebioda was FSU’s third different ACC Player of the Year and fourth overall (Brooks Koepka won it twice), while the two All-ACC selections mark the 10th consecutive year FSU has garnered multiple all-conference selections. Del Solar has put together a career year for the Seminoles. His 0.47 average vs. par is more than a full stroke better than his previous low of 1.59 last year. He has also set career bests in average score (71.67), par or better rounds (17) and rounds in the 60s (7). Live stats for all four stroke play rounds can be found on Golfstat.com.